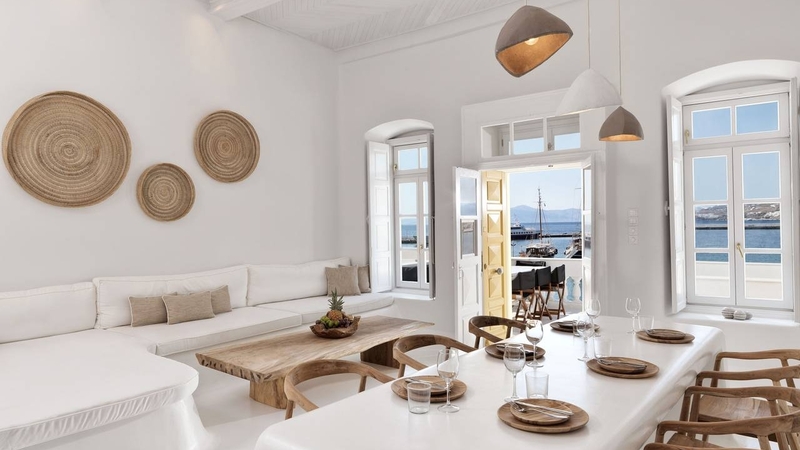 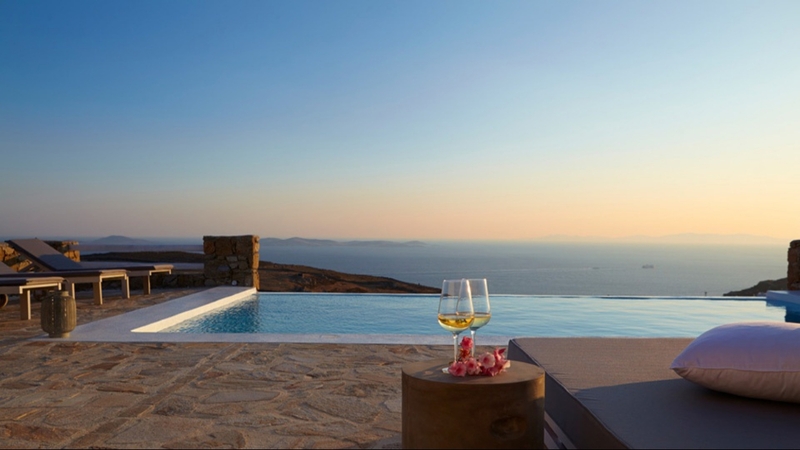 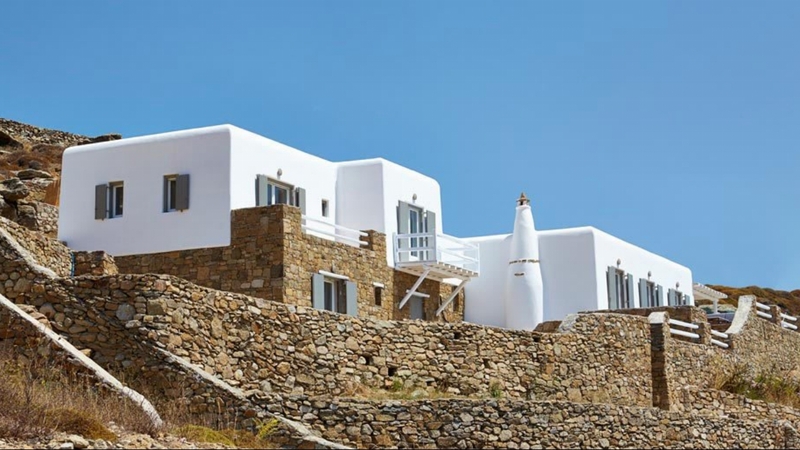 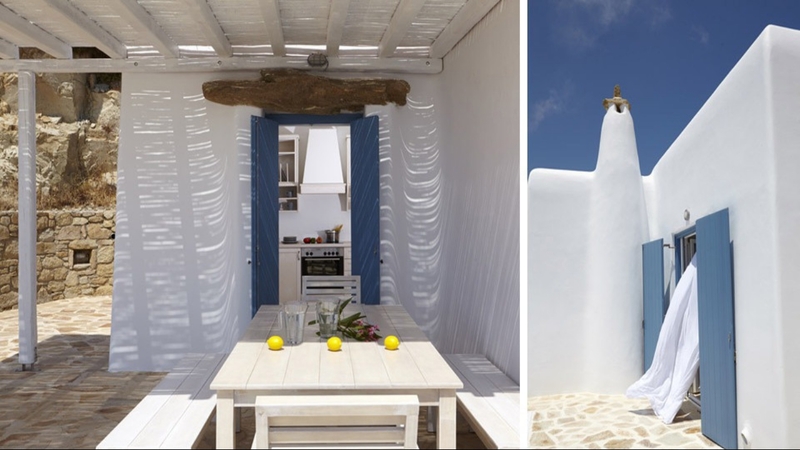 Villa Linos is located in the area of Fanari on the highest elevation of the island offering a stunning panoramic view of sunsets, the Aegean Sea and the town of Mykonos. 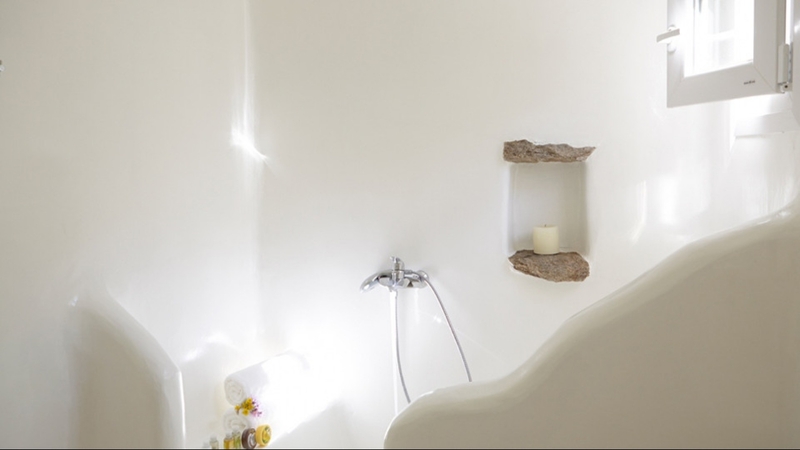 The ground level features two bedrooms with two separate beds, a bathroom and a fully equipped kitchenette. 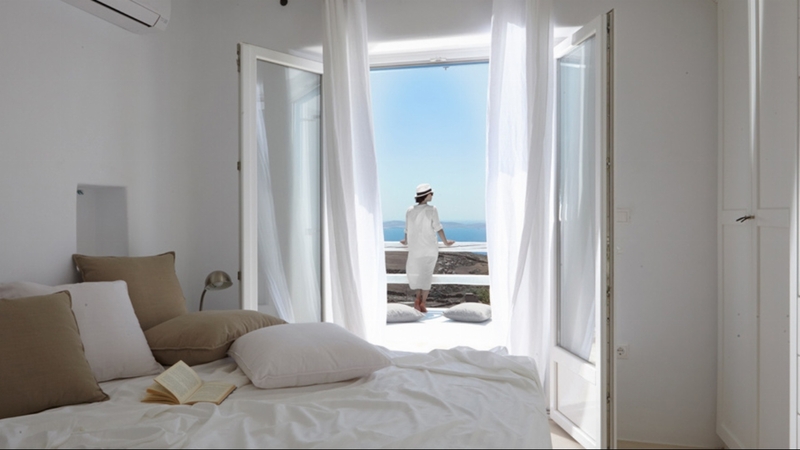 Both bedrooms offer stunning sea views. 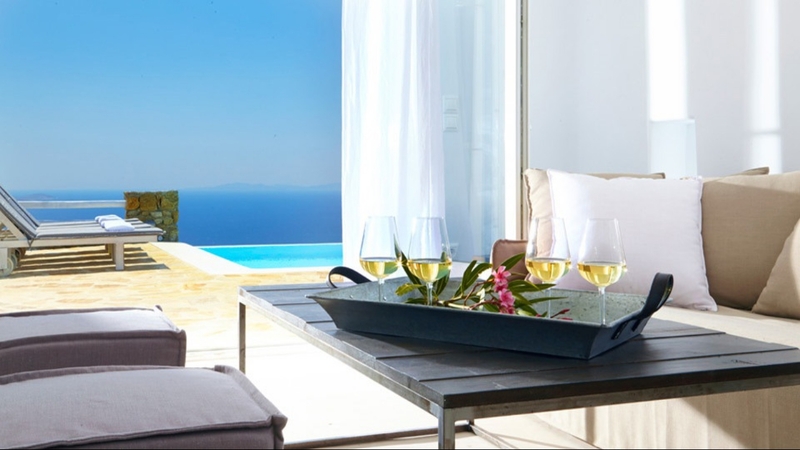 Air conditioning is provided in all bedrooms. 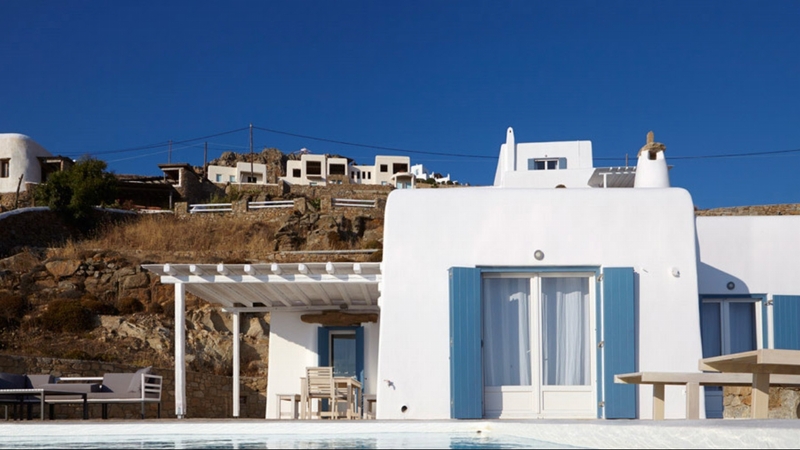 The upper level features two master bedrooms and private bathrooms, spacious living and dining area with fireplace with amazing view of the Aegean. 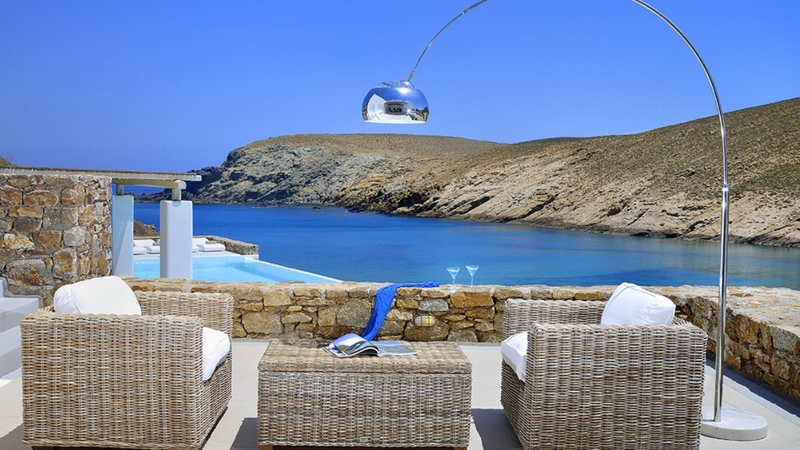 Every aspect of this stylish house is designed to make the most of the spectacular view. 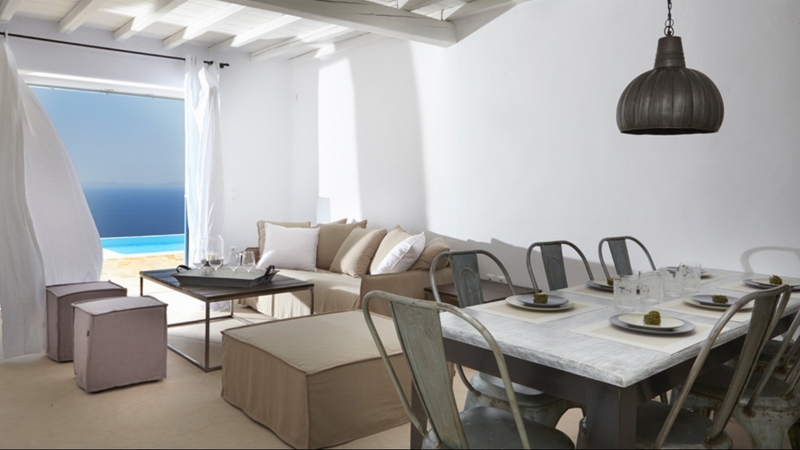 Shuttered patio doors open on to the terrace, from the uncluttered calm of the bedrooms and from the living area. 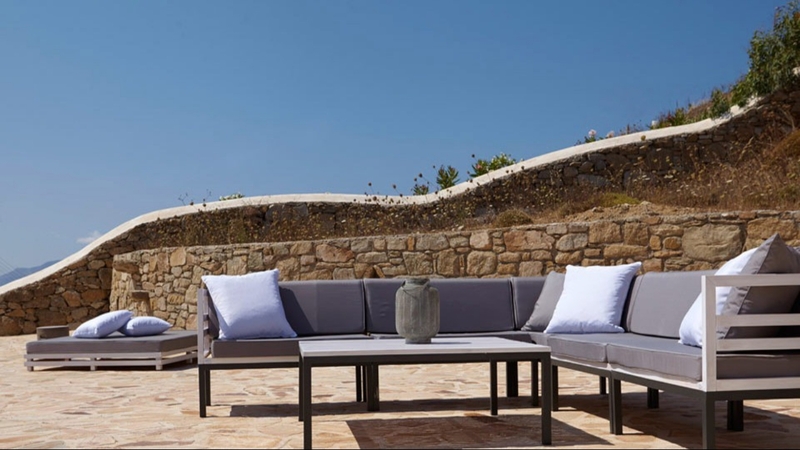 At this villa the emphasis is all about outdoor living, with big sun drenched sofas, comfortable sun loungers and shaded dining table. 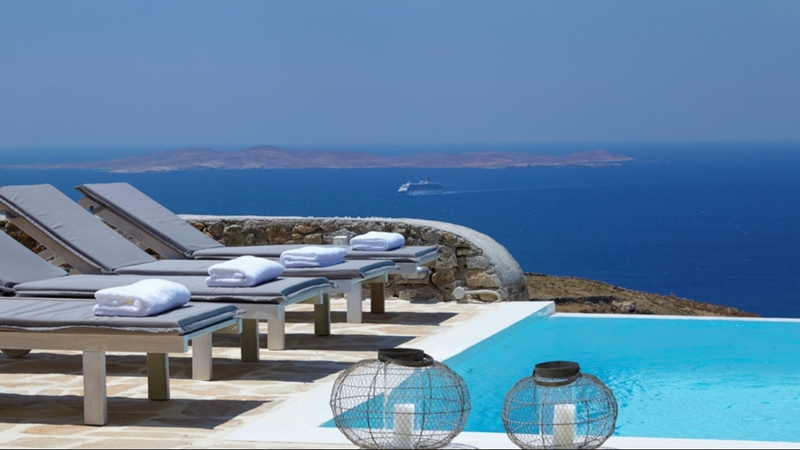 Paved sun terraces flank the pool on either side, and a shaded outdoor dining area looks over the pool to the huge expanse of sea beyond.